Which is great because imagine how one would feel if one hated it! And trust us, there's a tired road of book authors who hated what Hollywood did to their movies... so this is great news. 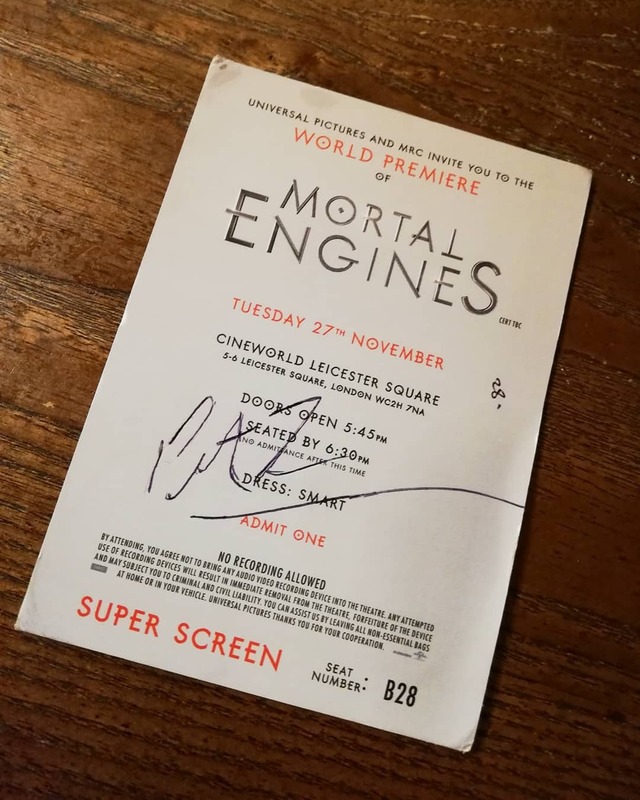 Here's what Reeve had to say of Christian River's version of Mortal Engines. "Well, it IS. Christian, writer/producers Peter Jackson, Fran Walsh and Philippa Boyens, and the rest of the (huge) team have done a fantastic job. They’ve made a lot of changes to the world, characters, and themes of the book, (and the weather is nicer) but it’s still basically the same story. The opening twenty minutes or so are essentially what I wrote all those years ago, and even when it takes its own path later on there are lots of moments and images which come straight from the book (like the valley littered with smashed cities in front of the Shield Wall, and the glorious vertical city on its far side). All the sets and costumes seem to have been designed by people who know the books at least as well as I do. The effects are, as you’d expect, utterly convincing. The film has a kind of family resemblance to The Lord of the Rings movies, as you’d expect, but it’s shorter than any of those (about two hours, plus credits). It reminded me of the original Star Wars too (no surprise there, the opening models ANH and Anna Fang is based on Han Solo - ED). It’s tremendously well paced; intense action sequences come at you pretty regularly but don’t hang around long enough to outstay their welcome, and they’re punctuated by quieter bits which are often surprisingly affecting. That’s partly thanks to the actors, who are amazingly good. Robbie Sheehan is much more attractive and good-looking than Tom is in the book, so I hadn’t expected much resemblance, but somehow he still manages to suggest a bit of Tom’s well-meaning uselessness – there are some lovely bits where he manfully tries to put himself between Hester and danger, as if Hera Hilmar’s fierce, competent Hester needs his help. Everything Jihae does as Anna Fang is perfect. My only worry about Stephen Lang’s Shrike is that he might be too scary: he’s terrifying at times, but the flashbacks to Hester’s childhood are beautiful (and the fact that he does the opening narration is a cute touch for anyone who’s read all the way to the end of A Darkling Plain). Hugo Weaving is great as a more villainous Valentine, Leila George and Ronan Raftery make a glamorous Katherine and a smouldering, non-bald Bevis. Colin Salmon is a great Chudleigh Pomeroy, Patrick Malahide is pure patrician class as Crome, and Sophie Cox makes a very chipper Clytie Potts. Regé Jean Page, Menik Gooneratne, Frankie Adams, Leifur Sigurdarson are the gang of aviators we watched at work in the Gasbag & Gondola when I visited the set last year: the long days of filming have yielded only a few minutes of screen time, but they still manage to impress. I wish we saw more of them, but then I wish we saw more of all these characters – fingers crossed for some sequels. Inevitably lots of scenes and characters from my version get left out completely, or reduced to a passing mention, but hopefully the film will send lots of people to the books, and they can find them there." Having observed Mr Reeve in action of the last few years, we know he is absolutely genuine in his online dealings so what here's saying here is all his real views and not spin for the sake of promoting the movie. Reeve's working partner Sarah McIntyre, had a great time at the London Premiere! If you take the Mortal Engines novel as a singular book, it is a grand adventure set literally on the tracks of giant traction citites. 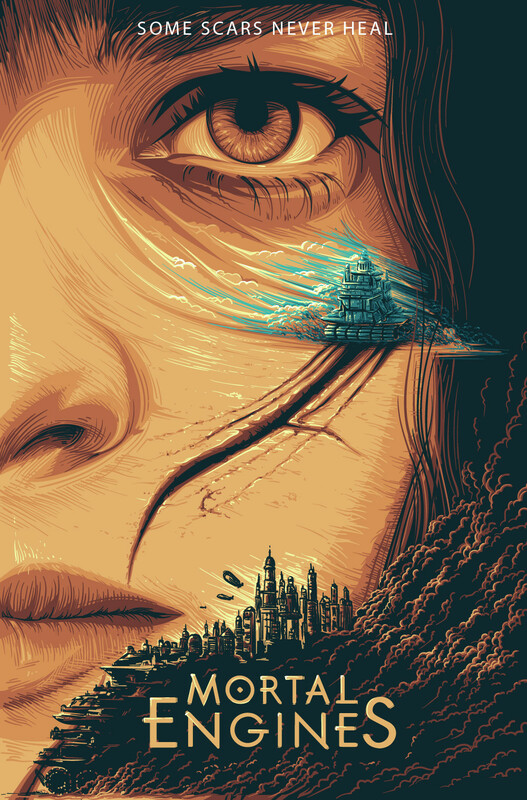 It sets up a world of wonder and opened up a realm of possibilties for future story telling and the success of Mortal Engines led to Philip Reeve being able to write a sequel, Predator's Gold. That book, steps up the action, steps up the pain and steps up the comedy gold with the introduction of Professor Nimrod Pennyroyal. On paper, this character is a cliched sterotype that any seasonsed reader can see a mile off. Except Reeve managed to imbue Pennyroyal with such a nagging charm that the character feels wholly real. Pennyroyal is a player, a book writer who talls tall tales about his adventures around the world. He makes himself out to be the hero when he's a coward. He makes himself out to be a the man of the world and in a fake-it-till-you-make-it style of living, he's been painting the town red. 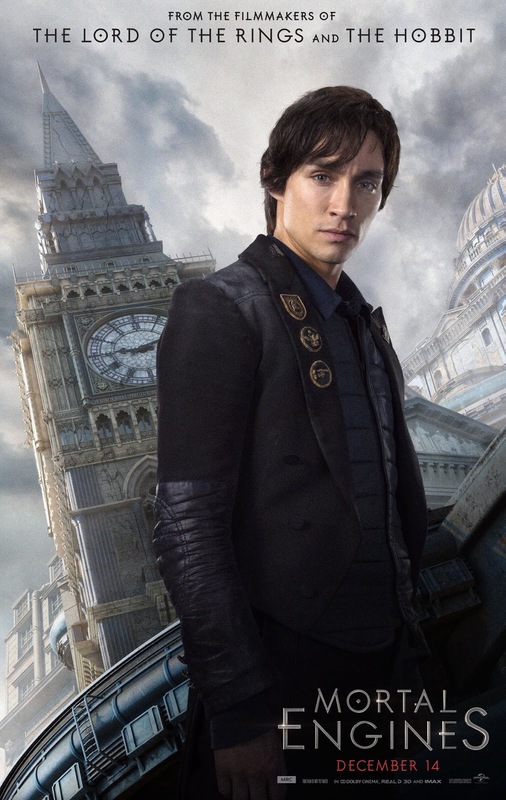 So should the Mortal Engines film be hit a genuine hit and give rise to a sequel, it would seem only natural that the good Professor should have a role to play. But who could capture this fellow? Stephen Fry is a marvel. A national treasure in the UK, he's a sucessful writer, actor and all round good guy. And he would be perfect. He's got the charm, the confidence and the talent to play the part. Did you ever see Fry as the dectective in Gosford Park? He was brilliant as the dectective with an ego writing cheques he his ego could never cash. If Fry channelled those instincts into Pennyroyal, the character would come to life. The beauty of this casting suggestion is that Fry has an existing working relationship with Peter Jackon. He featured in two Hobbit films and wrote the script for the as yet unrealised remake of The Dam Busters. Peter Jackson loves to surround himself with talent he's used before (see Hugo Weaving as Valentine and all the LOTR films) so if he's fond of a fry up, Stephen is his Professor. As a fun aside, check out our April Fool's hoax involving Pennyroyal. 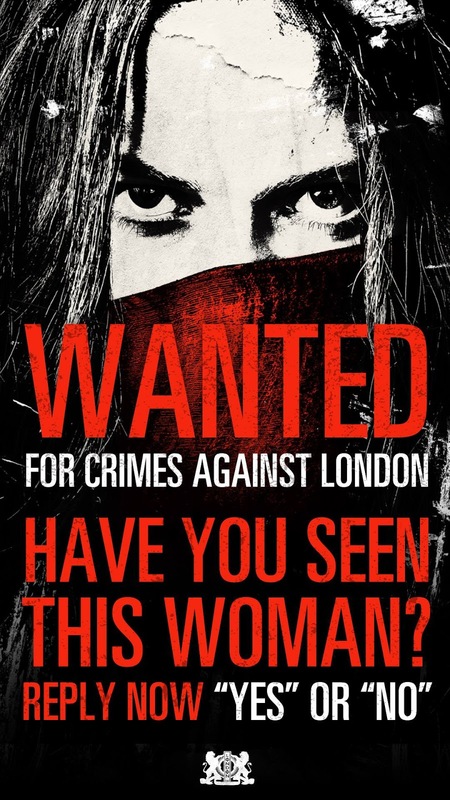 Looks like the city of London has an issue with Hester Shaw! 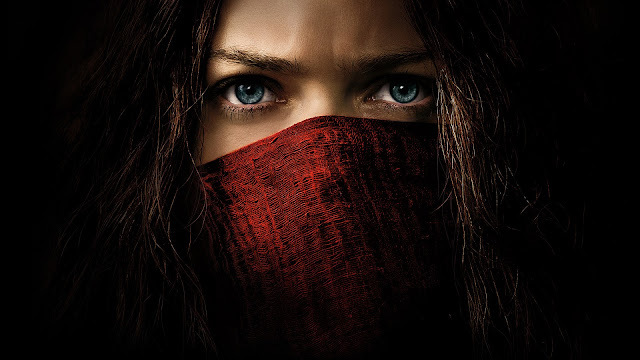 Poster supplied by the official Mortal Engines Facebook page when you take part in the game with the mysterious Antonia Critt. 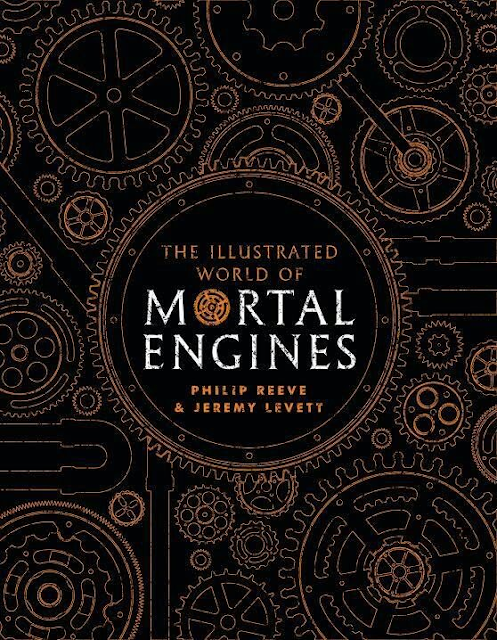 As a tie-in of sorts to the Mortal Engines movie, author Philip Reeve has published 'The Illustrated World of Mortal Engines'. This work is to a super-dooper rework of The Traction Codex which was published some years ago as an e-book with collaborator Jeremy Levett. Levett is back again for this more comprehensive exploration of the world of traction cities. 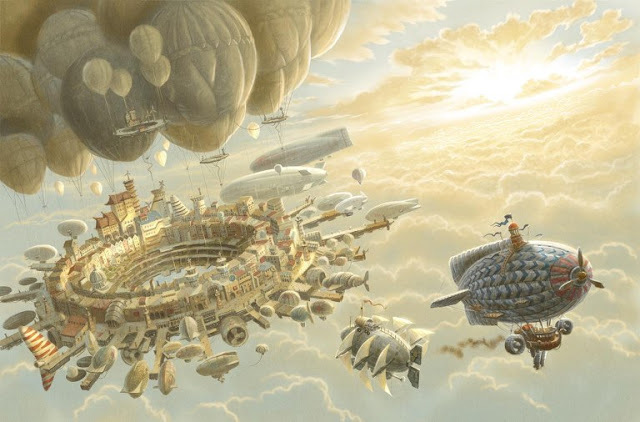 "With the Mortal Engines movie looming, it seemed a good opportunity to revise and expand the old Mortal Engines Codex, which had a very patchy e-book release a few years ago. Jeremy Levett knows far more about history and technology than I ever will, and he’s come up with an impressively plausible account of the centuries which separate the Fever Crumb books from the beginning of Mortal Engines, as well as lots of extra details about the cities, airships and characters who inhabit the books. There are glimpses of what the Traction era means for Australia, South America, and other bits of the world my stories never managed to encompass. 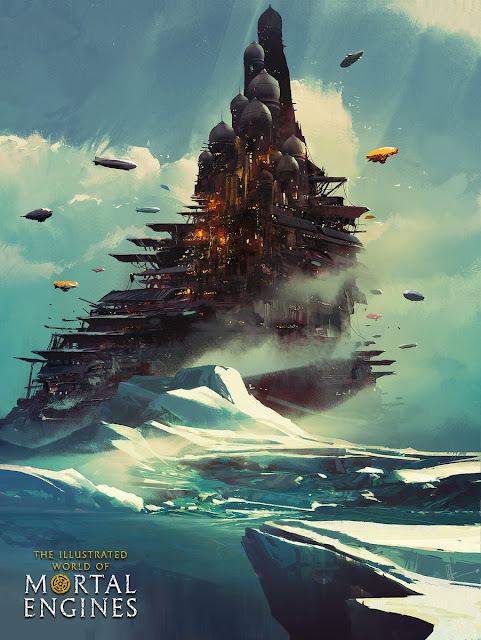 The book features the artwork of many well-known concept art designers including Ian McQue who recently redid all the covers for the original book series, David Wyatt and Amir Zand. Jeremy Levett did an Ask Me Anything Session on Reddit about the guide. it's important to note this work expands on the canon of the novels and does not necessarily tie into the movie version of the original book. 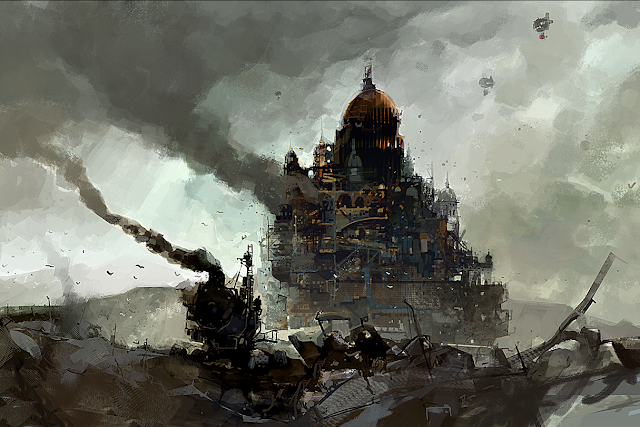 The artwork above is some concept work that Ian did when he was inspired by the Mortal Engines book AND seemingly before he had a working relationship with Philip Reeve! I like how life works out! Order your copy from Amazon now ! 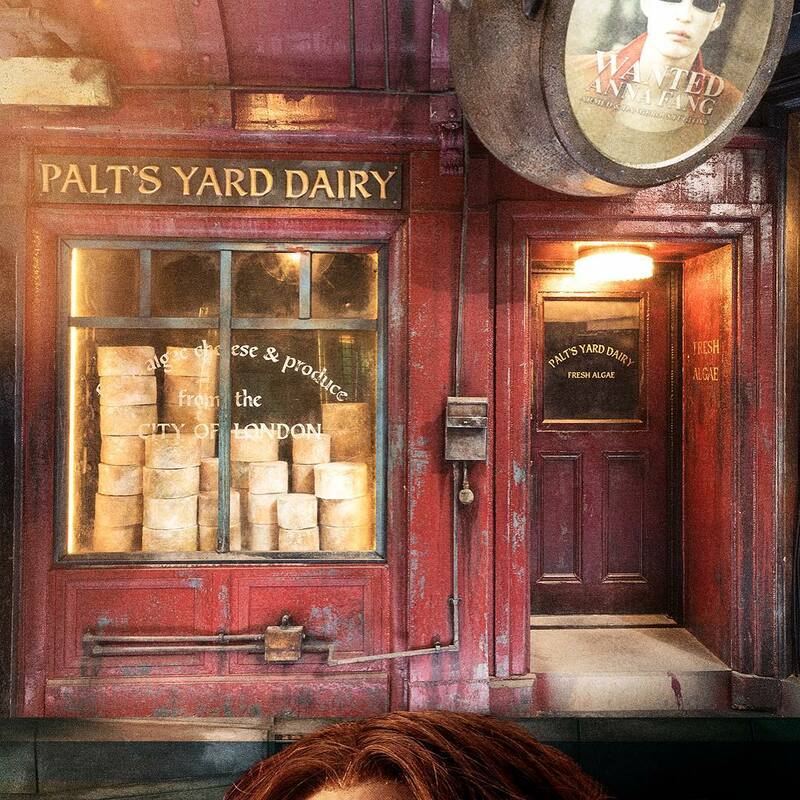 If you've spied that the Mortal Engines marketing has tracked up a notch, you'd be right and you may have seen this shot of Palt's Yard Dairy which supplies the city of London with cheese derived from algae. Check out the picture of the wanted picture of Anna Fang on the video screen on the top right. Anna Fang is a spy and leader in the Anti Traction League and if you've read Night Flights or the original novel, you'll know she's no friend of London. So having a wanted video of Anna Fang all makes sense. What makes little sense is that the shot of Anna appears to be from within the actual movie, not at a time in the past. It would seem a shot similar to this has been used by the production team for the Palt's Dairy warning sign - however, it's of Anna in 'movie real time' - presumably, the shot was supposed to be a warning for people prior to the events of the movie. Thus it's kind of an anachronism. When I was a young lad my dad brought home a copy of a film called Star Wars. I knew nothing about this movie and I had no idea what I was about to see. As you probably know, the film famously starts with a chase. Darth Vader's Star Destroyer is chasing Princess Leia's Tantive IV in a bid to regain the plans to the Death Star. It was amazing and left a lasting impression on myself and many a viewer due to the size of what was been shown - the ship was massive in comparison to the smaller ship. The trailer for Mortal Engines is also a chase, one that mirrors the iconic Star Wars start in that the traction city of Salthook is framed by itself, wheels blazing just like the lonely Tantive IV. Then, the city of London, slowly but surely comes into screen, showing that the chase is on, consuming the entire screen, just as it wants to consume Salthook. Sure there are some differences between the ME film trailer and the opening of Star Wars such as the two eyed Hester Shaw inter-cuts but the concept and referencing or homage is absolutely there! 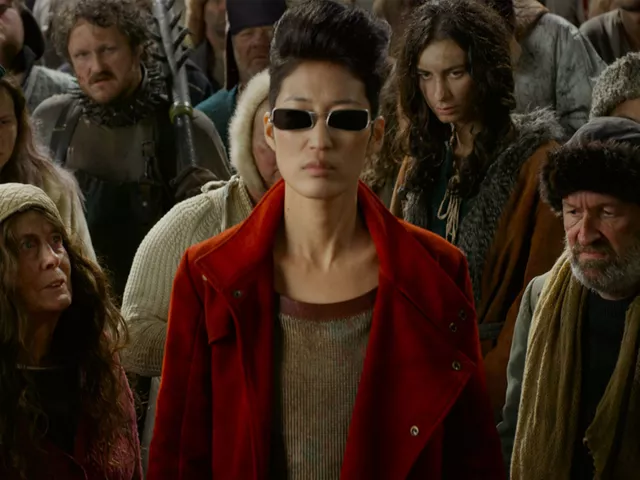 Mortal Engines itself is no stranger to Star Wars - the character of Anna Fang was in part inspired by by Han Solo!